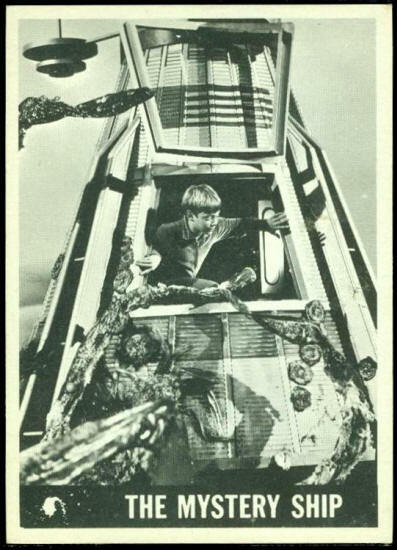 Will had left the chariot to help search for Penny. He too came up against a group of living plants that started to chase him. Rushing into a nearby canyon, he found a strange spaceship directly in front of him. Racing up the steps, Will climbed into the cabin with the plants right behind him. 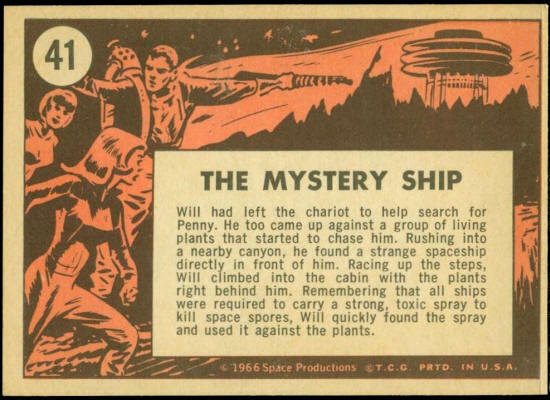 Remembering that all ships were required to carry a strong, toxic spray to kill space spores, Will quickly found the spray and used it against the plants.